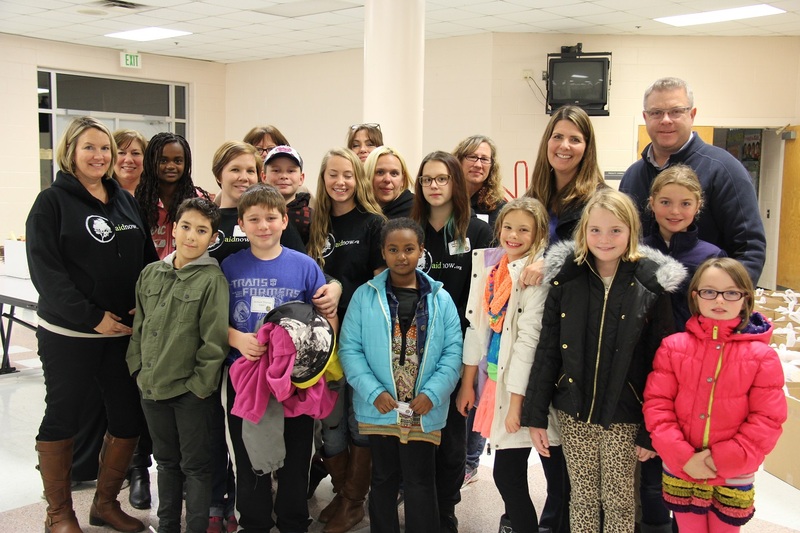 In the spirit of the holiday season, nearly 100 volunteers gathered Dec. 9 to pack Beach Bags that will help feed VBCPS students who might otherwise not have enough to eat when schools close for a two-week winter break. Working in teams, volunteers packed and boxed 710 bags of food in 30 minutes for delivery to schools next week. Corporate Landing Middle School, the event’s host school, provided 45 student volunteers, who were joined by dozens of other middle and high school students to pack bags. Volunteers and families from AIDNOW not only helped pack bags, but also donated $1,200 worth of food. Volunteers created assembly lines to pack Beach Bags with non-perishable food. 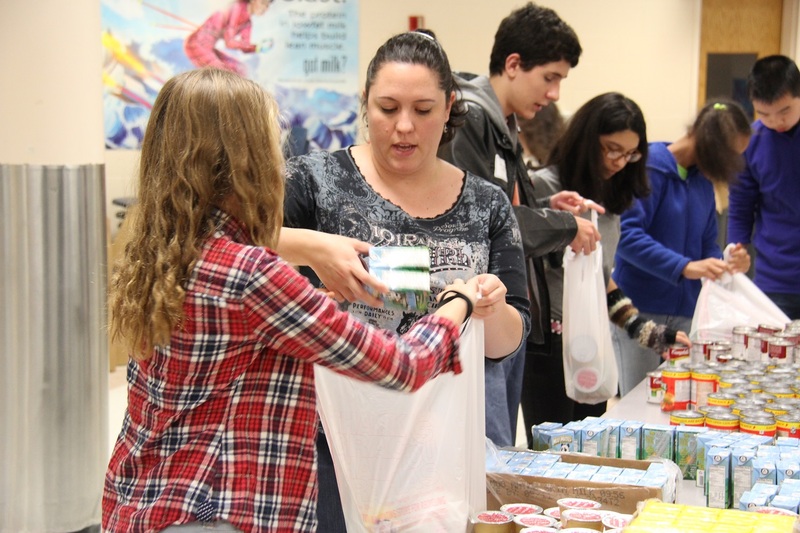 The school division’s Parent Connection facilitates the Beach Bags program which is supported by monetary contributions and food donations from community members, school groups and clubs. Each Beach Bag contains a mixture of non-perishable items, and typically bags are distributed to students at school every third week. However, the closure of the school division for winter break beginning Dec. 20 means that students will not receive breakfast or lunch in school until VBCPS reopens Monday, Jan. 5. AIDNOW volunteers donated $1,200 worth of food to Beach Bags and helped at the packing event. More information about the Beach Bags program is available on the school division’s website here. If you have questions, would like to contribute to the program, or are interested in packing Beach Bags, please contact Eileen Cox in the Office of Community Engagement by calling 263-1313 or by email at eileen.cox@vbschools.com.